Let’s begin with a little bit of an explanation for how today’s worship service and sermon are like and unlike that to which you’ve grown accustomed. With Ash Wednesday this past week, we’ve now entered the season of Lent, the season in which the church has traditionally both prepared people to receive the sacrament of baptism and accompanied people through a period of intentional repentance and return to the faith. The name we give to the process of preparation for baptism and lifelong faith formation is catechesis, which literally means something like “instruction by word of mouth,” which points to the way our faith has been transmitted, person to person, over the centuries. So, in considering how we might use this Lent to honor the church’s traditional observance of the season and to build on the local traditions we’ve been nurturing here at St. Luke’s, we’ve decided that for these five Sundays we will shorten our periods of speech and lengthen our periods of silence in order to strengthen our attention span for the sound of our own soul’s questions; we have selected music that can be sung without use of a hymnal and, for the most part (once you’ve picked up the simple tune and lyrics) with nothing in your hands; and we will be preaching shorter sermons directed towards teaching doctrine, followed by a period in which the entire assembly will be invited to reflect on a question in silence or by offering a brief thought or observation. You’ll get a chance to practice that in just a few minutes, so let’s begin. This morning I want to talk about the doctrine of sin, which always seems to me to be one of the simplest yet most freighted topics in the church and among people — whether they are Christian or not. It is the thing with which people who make no claim to Christian faith assume those of us who do are obsessed. It is a source of great pain and shame for people who have been taught to believe that something about their very being is disordered. It is the bucket into which every oppressed community has been dumped at one time or another: women, Black people, queer and gender non-conforming people, even peace activists practicing non-violent civil disobedience. In other words, sin is a theological concept that too often gets used by people in a majority to stigmatize and punish people in a minority. It’s not as simple as saying we cannot, or should not, comment on another person’s conduct or another name another person’s sin, but the emphasis is clearly on attending to our own self-examination. This is where I think the topic of sin is simplest. However uncomfortable we may be with how the concept of sin has been used or misused, most of us can acknowledge that we ourselves are sinners, in both the personal and the collective sense. If we examine our conduct over the course of even an hour, we can sense how we have hurt ourselves or others by our thoughts, words, and deeds; by things we have done, and things we have left undone. The temptation to sin is the focus of the story we hear this morning of Jesus wandering in the wilderness for forty days and nights, which is why some version of it is traditionally read on the first Sunday of Lent. The strong connection between the ideas of sin, temptation, and desire have often confused us, I think. We have grown too suspicious of desire as the sign of sin, when desire itself is quite natural. We are created to desire food, to desire love, to desire touch, to desire community. The sin in the devil’s temptations is not connected to desire itself, but the nature of Jesus’ own baptismal vocation. In the waters of the Jordan, Jesus was revealed as God’s own Beloved, come to announce salvation and give himself away for the sake of the whole world. In his wilderness temptations Jesus is faced with a more personally enriching use of his life: feed himself, preserve himself, join the powers of the world as it is rather than calling them to become what they were meant to be. This is one definition of sin: our participation in or collusion with the powers and forces that draw us away from the fullness of our humanity. The violence we do to ourselves and others when we forget that each of us bears the image and likeness of God. In baptism, each of you has been named children of God, good and loved by God. In baptism, each of you has been joined to the death and resurrection of Jesus, freeing you to give your life away in the present age so that all of creation can experience the life, love, and liberation that is its God-given birthright. How has sin obscured the image of God revealed in your baptism? How has sin tempted you away from your own baptismal vocation? These are real questions you are invited to reflect upon now. You might choose to sit with them in silence, or to write down some thoughts on your bulletin or in that journal you keep in your bag. As you listen to the sound of your own soul’s voice, you might decide to share a word or a brief thought aloud. We welcome that. If that happens, I encourage us to hear what is offered not as an idea to be challenged, but as an offering to be appreciated. And it may be that we will simply share a few minutes of silence, in which we leave space for the Holy Spirit to continue its work in us. Good morning St. Luke’s! I don’t know what it is, if it’s the fact that it’s Rally Day or Homecoming Sunday, or if it’s the fact that as we gather this morning we begin a fall season that will culminate with our exodus from this building, or if it’s the fact that the Bears are playing the Packers after church today — but there’s a level of adrenaline pumping through me this morning that’s both thrilling and exhausting in equal measure. Actually, I think we’re all pretty clear that it’s not the Bears/Packers game that’s got me buzzed. I’m so tuned out to the world of sports that I’m feeling proud of myself for even knowing that the Bears and the Packers are playing today, which is nothing at all like the kind of excitement real fans are feeling — I know, because I’ve spent the last two days up in Wisconsin preparing for and then celebrating our friends Ryan and Rachel’s wedding. It was a beautiful ceremony and the love radiating out from the couple was palpable, but when Rachel’s father made a point of the fact that Ryan is a Bear’s fan during his toast, the sudden explosion of cheers and jeers made me think that we may want to say a prayer for that couple on game days. 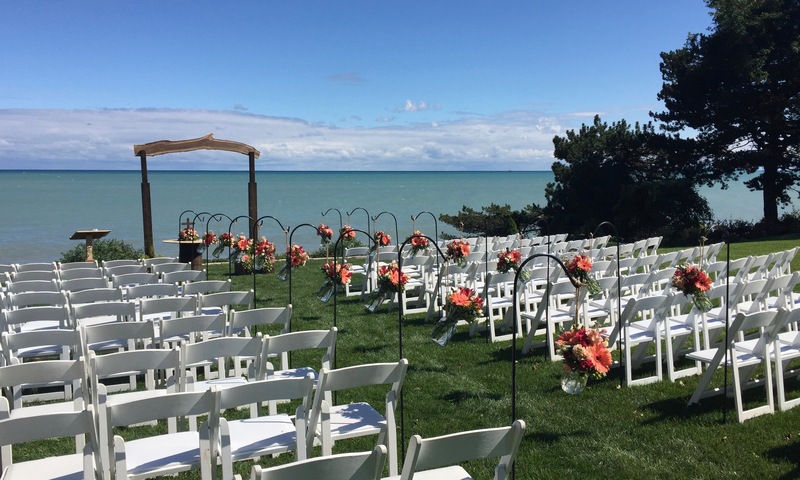 The view of Lake Michigan from the scene of Ryan and Rachel Coffee’s wedding in Racine, Wisconsin. And, that is not why we gather for worship each week. 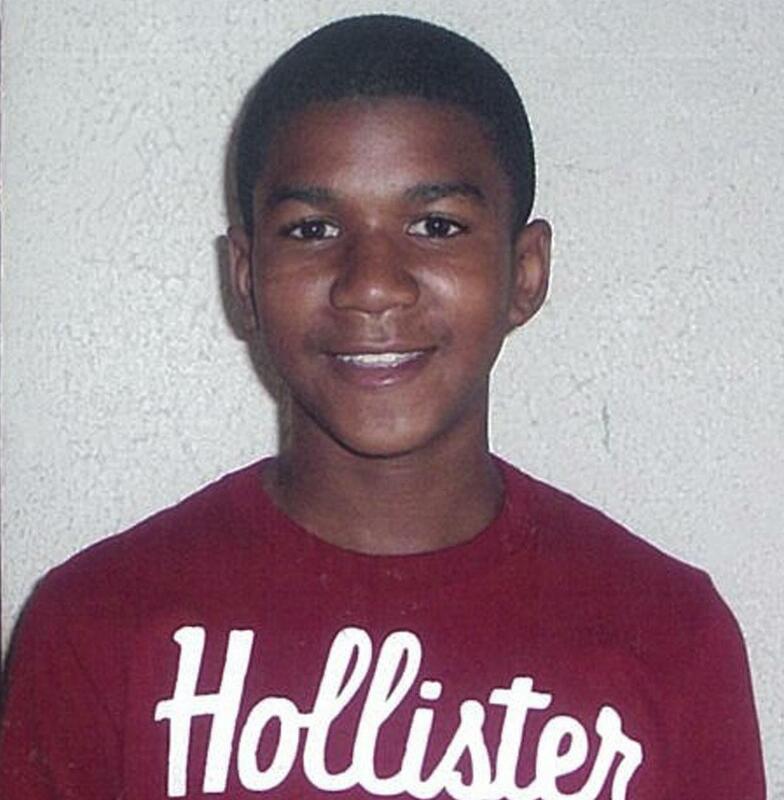 We are not here because we think God is trapped in this cage, waiting for us to come visit, like the lion at the zoo. We’re not here because we went down to the lakeshore, but we just couldn’t find God. We’re here because we know that we have sinned and fallen short of the glory of God, but that in God’s mercy and compassion we are forgiven and set free to share in the work of healing and reconciling a planet and its inhabitants that are groaning under the suffering caused by so much human greed and negligence. The reality of sin is distasteful to the culture at large, I think, mainly because it is so wrapped up with experiences of shame. For many people, even hearing the word “sin” shuts them down. It may be that some of you are already feeling shut down right now, hearing me talk about sin from the pulpit. If that is so, I ask you to try and keep an open heart and open mind for just a little while longer. In our world, it is often the case that if we admit we are in the wrong, we expect to be embarrassed in front of our classmates, punished by our parents, humiliated by our friends, dismissed by our colleagues, divorced by our spouses. If we admit that we make terrible, terrible mistakes then we expect to be abandoned. We are not trained for grace. We do not have enough experience with forgiveness. We are merciless because we do not expect mercy. Why do people go to church, the logic goes, just to be made to feel bad about themselves? I don’t need help feeling bad about myself, I need to surround myself with positivity. I turn 42 next month, so it’s time to schedule my annual physical. Every year my primary care physician looks at my height and weight, and asks me how many times a week I’m getting 30 minutes or more of exercise that elevates my heart rate. He reminds me of the facts: that regular exercise and a healthy diet will reduce my risk of heart disease and stroke and that I’ll have a much higher quality of life if I make even small changes to my lifestyle. I don’t ever tell him, “what a downer! I don’t know why I even bother coming to you each year, I need more positivity in my life!” Because I know that what he says is true, and that he’s not interested in shaming me, but instead that he’s encouraging me to become an actor in the story of my own healing and wholeness. Like a doctor speaking a hard truth to a patient, Paul puts us all on notice with a diagnosis delivered two thousand years ago that has only been confirmed with the passage of time. Although we can see the evidence of God’s goodness and power in the splendor of creation all around us, we have become so preoccupied with ourselves that we have traded the worship of God — which pursues unity and reconciliation out of gratitude for the goodness of the gift of life God freely gives — for worship of ourselves — which encourages division and self-interest in an attempt to secure for a few those things we all require for life. We betray God’s abundance by creating scandalous poverty, even as we pretend that there are no limits to what we can extract from the earth, or the ocean, or the land. But God, whose face is seen throughout creation — in the mountains, under the big sky, has also worn flesh like ours and has wrapped the living Word in frail humanity so that all creation could be made new. As bleak as the present moment is, environmentally speaking, we remember that God’s Word, God’s life, God’s light is not overcome by sin, or by ignorance, by fear, by greed, or by despair. God keeps coming and coming for us, inviting us to embrace the truth not because it will shame us, but because it will set us free. 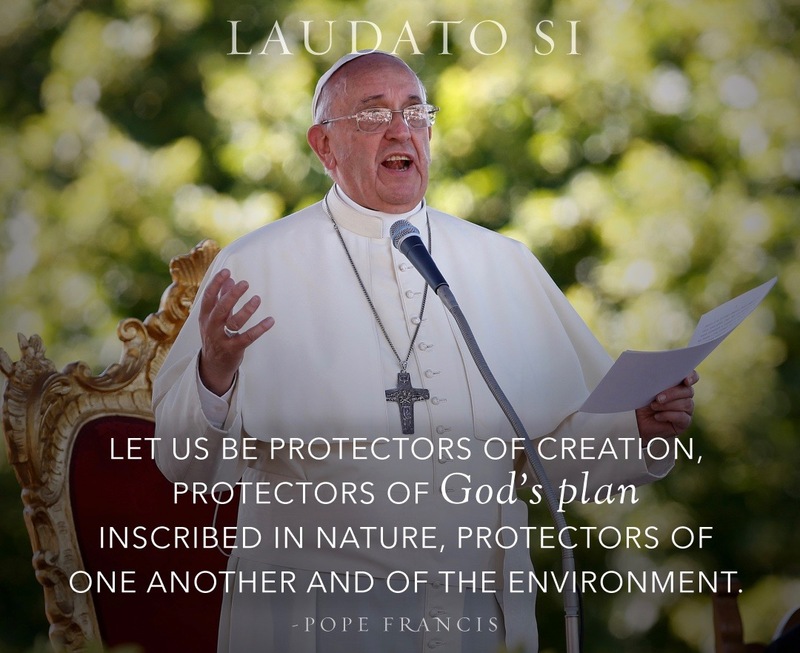 With Pope Francis’ visit to the United States just over a week away, I’ve been drawn to read his most recent encyclical on the environment, Laudato Si (which is Latin for “Praise be to you,” drawn from the beginning of Francis of Assisi’s canticle). I’d like to invite you to read the Pope’s letter to the church with me throughout this Season of Creation. The document is a beautiful interweaving of the science of climate change, the human roots of the ecological crisis, the political and economic realities of poverty and global inequality, and the resources of Christian faith and life that culminate in a call to action on behalf of our fragile planet. Laudato Si is available online for free (and I’ll include the link in my sermon when I post it later today) and I’ve set a few copies out in the narthex for those who may not have access to the internet at home. Yes, God is present in the sunrise, at the lakeshore, in a grain of sand … and God is also present in these bits of created matter — in bread and wine that we can only receive when we are together, which is also (not un-coincidentally) the only way we will survive this crisis: together, in restored communion with one another that requires a restored relationship to the earth. Our unity, demonstrated in the sacraments, but imparted to us as a gift freely given, removes shame’s threatening loneliness and replaces it with the solidarity that comes from a deep and abiding knowledge that we belong to each other and to the earth, our sister, our home. Praise be to you, our Lord!